We are about to step into a new year and everyone is busy and excited to welcome it in a special way. 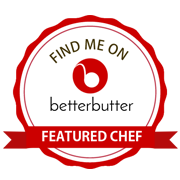 So today I am sharing one of my favourite dish recipe with you all. Wishing everyone a very Happy and Prosperous New Year. 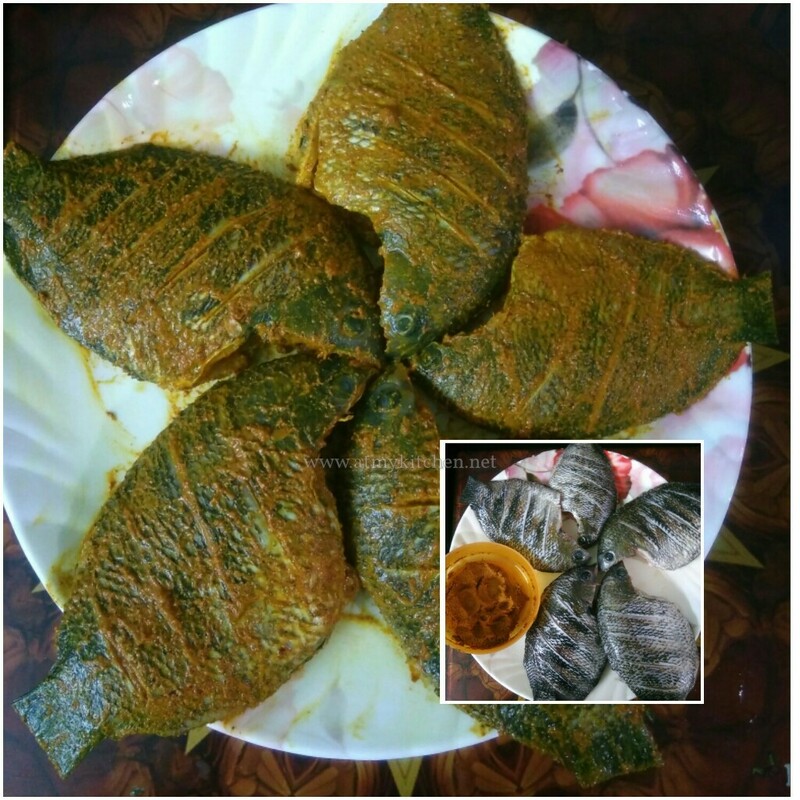 Today lets learn how to make a Kerala speciality fish Karimeen Pollichathu with step by step picture recipe. 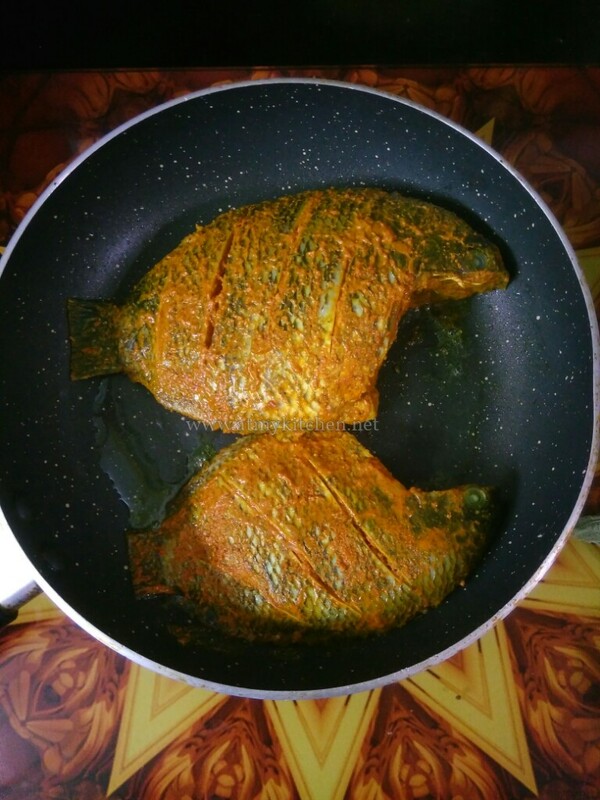 Karimeen Pollichathu is one of my family’s favourite dish. We always carve to have this fish and we make sure we order them and have whenever we dine outside. This Kerala special dish makes you always carve for more. It is one of the famous and star dish of Kerala and no doubt the favourite of all. One of the top rated delicacy in Kerala Cuisine. This pearl spot fish is not easily available so its difficult to make them often at home. I have been after my fishmonger for quite sometime to get this fish as i badly wanted to make them for the festive and special occasions lined up. And finally he got this fish for us. I am super excited and happy 😁. Here the fish is marinated with some basic spices powders and lightly pan seared. 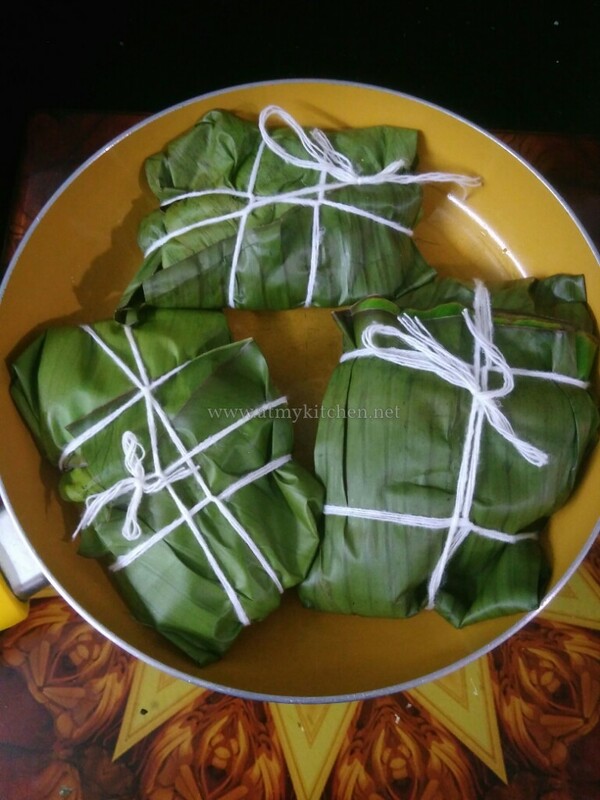 Then the fish is covered with sauteed masalas and wrapped in banana leaves. 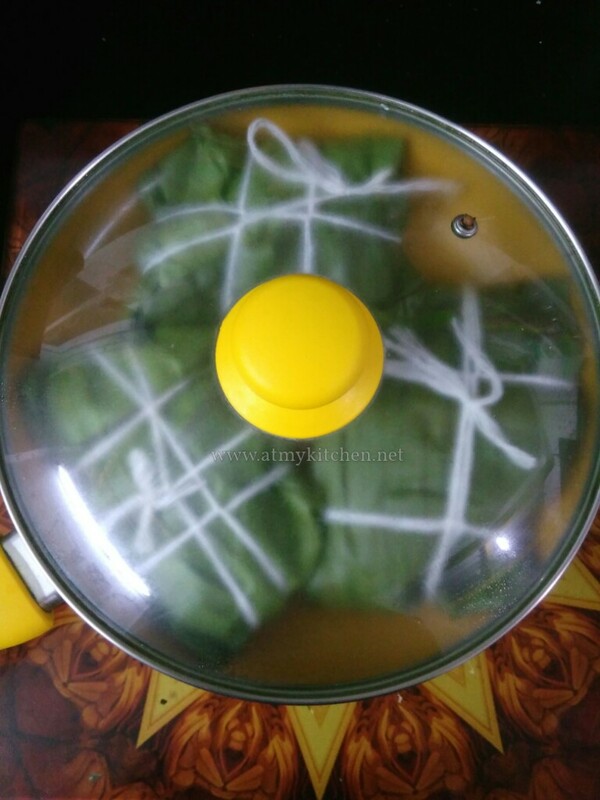 The wraps are tied with a string and cooked in a pan/tawa to perfection. For the authentic taste and flavor I recommend to use shallots, coconut oil and banana leaf to cook this fish. The outcome is amazing. 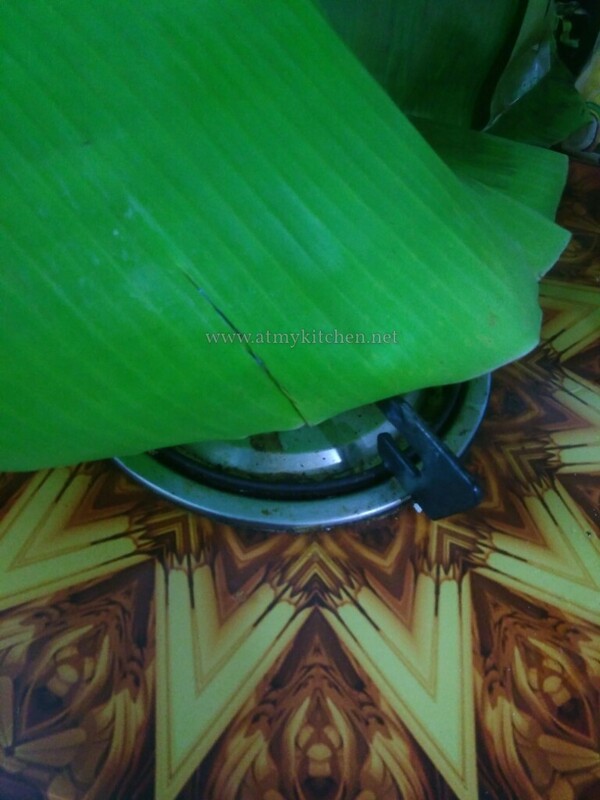 Cooking the fish wrapped in banana leaf makes the flavours penetrate well inside the fish and keeps the flavor intact. The fish is juicy and tender and the taste is delicious. The flavor is irresistible and specially the aroma of banana leaf in the fish just makes this dish out of the world and makes your mouth waters 😋😋. So lets hear the recipe. In a bowl add all the marination ingredients and make a smooth paste. Take the fish and apply the paste all over the fish. Keep aside marinated for few minutes. 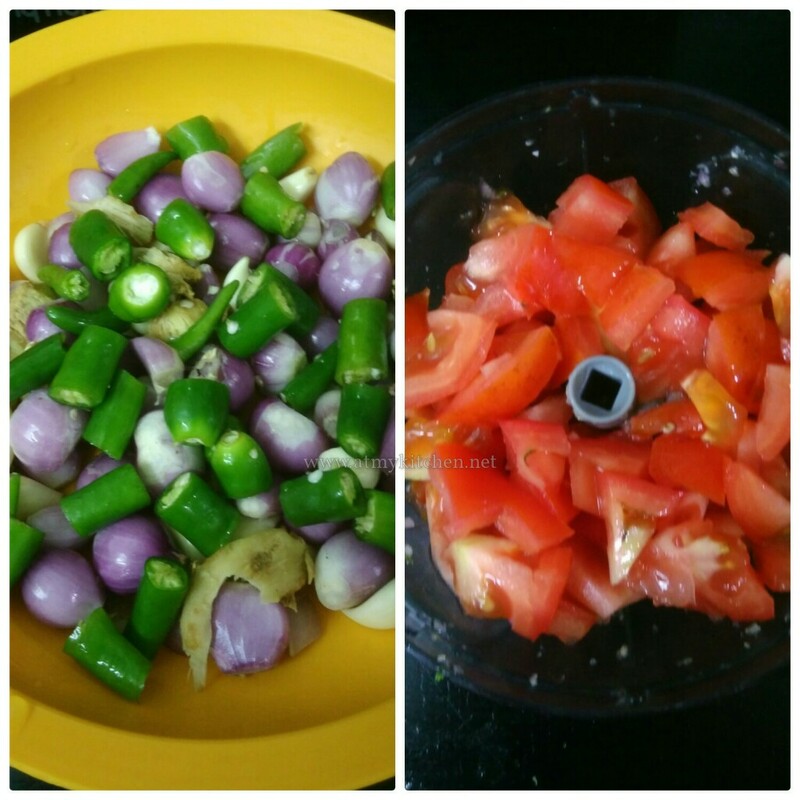 Chop the shallots, green chillies, ginger, garlic finely. I used a hand chopper to finely chop them. Remove and keep aside. Finely chop the tomatoes too separately. In a pan heat 1 tbsp coconut oil. Layer the fishes and pan sear both sides of the fish for 3-5 mins. Take the banana leaf and show in the flame for few seconds and let it wilt. But be careful not to show for long else it will burn. In a pan heat 2 tbsps coconut oil. 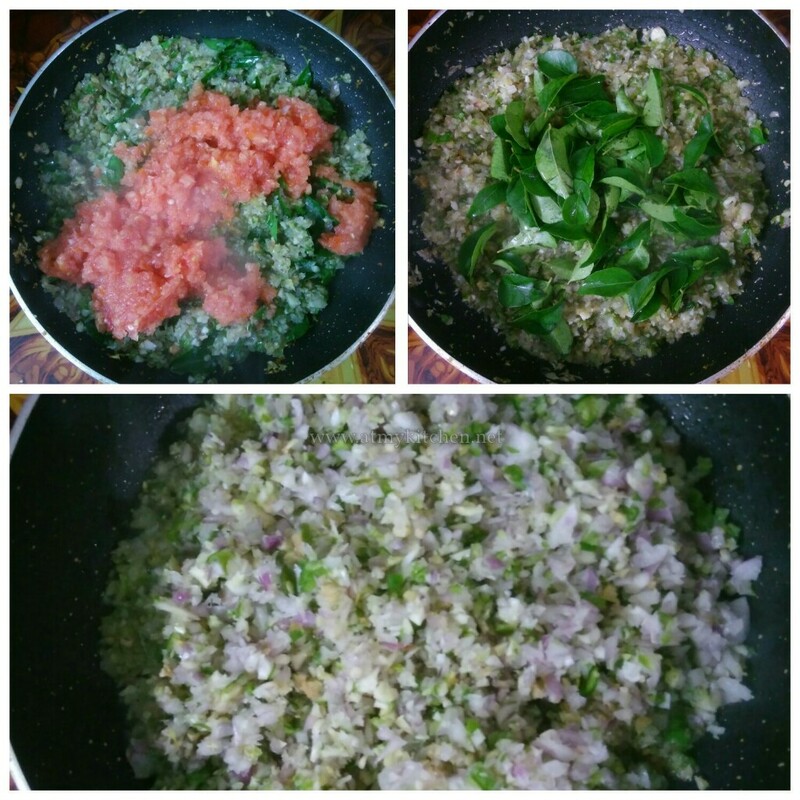 Add the chopped shallots, green chillies, ginger, garlic, curry leaves and saute for 2 – 3 mins. Add chopped tomatoes and saute till it turns mushy. 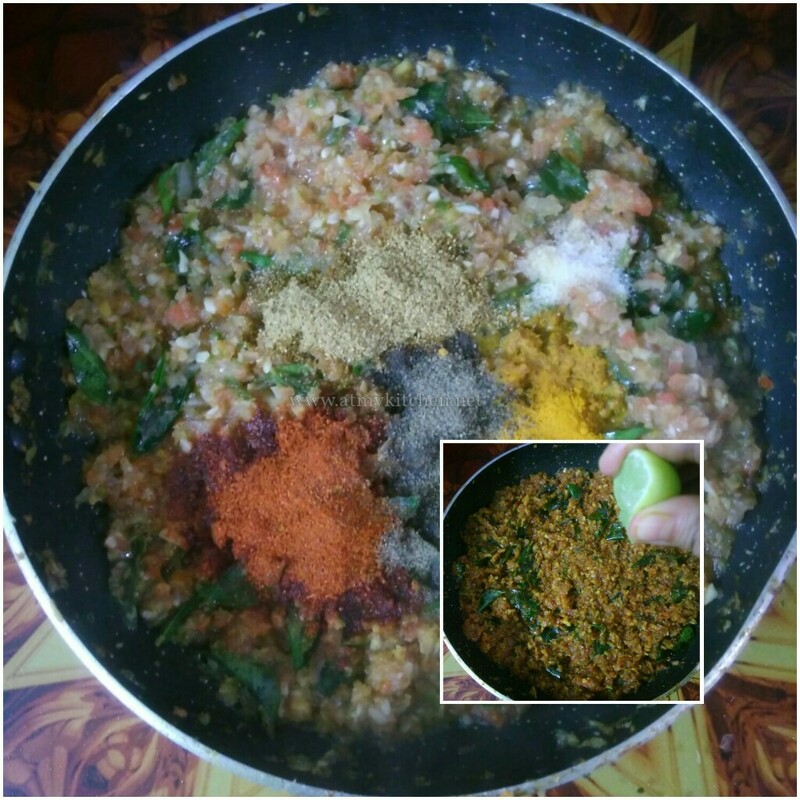 Add the turmeric powder, red chilly powder, pepper powder, coriander powder and saute for 2 mins. Tune off the heat. Add lemon juice and give a quick stir. Now take a banana leaf and spoon some masala and spread it. Layer the fish and spoon again some masala and cover the fish with the masala. 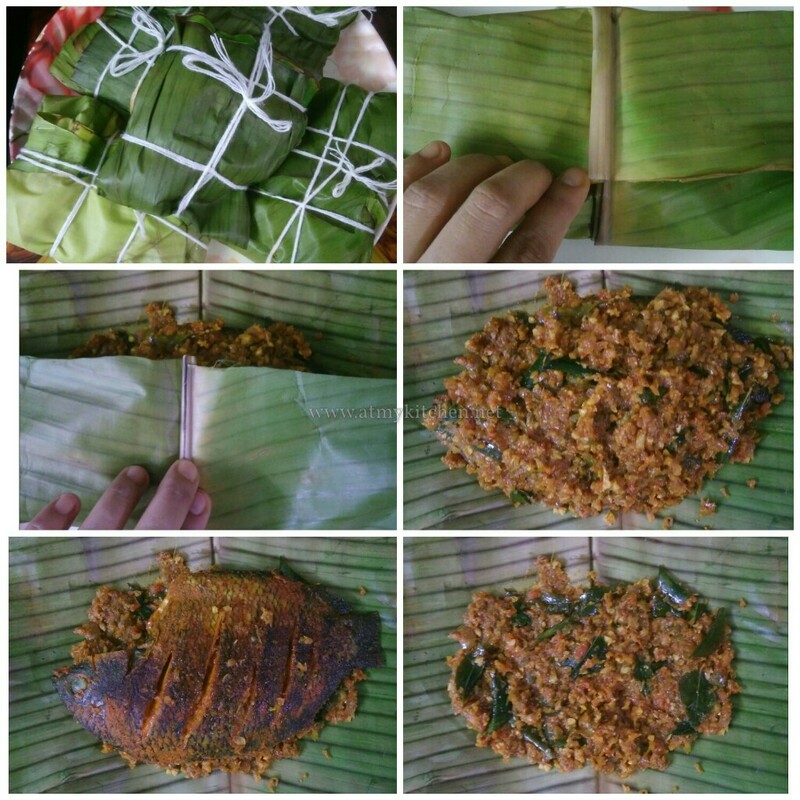 Wrap the fish with the banana leaf and tie it with the a string. Make ready all the fish in same process. In a pan heat remaining coconut oil and lay the wrapped fish in single layer. Cover the pan and cook for 5 mins each on both sides over low-medium heat. Remove, unwrap, squeeze more lemon juice and serve with onion rings, tomato slices and green chillies.